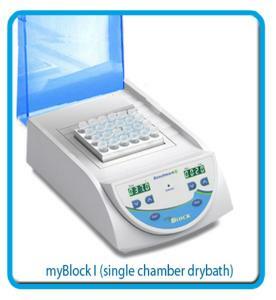 Digital dry baths that include timed or continuous operations and a removable hinged lid. External temperature probe can be positioned directly inside a sample tube. The accessory blocks can be flipped to accommodate tubes from 0.5 to 2.0 mL.